Start your search by viewing our interactive map of Ohio Colleges. Discover details including location, number of students, and more. 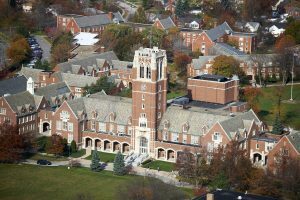 Click on the interactive map or the links below to learn more about the public and private colleges throughout Ohio. Programs: A variety of Transfer and Technology (go to work) Associate Degree and Certificate programs in areas such as Business, Nursing, Health Care Professions, Emergency Services, Engineering Technology, and more. Programs: Nationally ranked program in “City Management and Urban Planning.” Strong programs in Engineering, Business, Education, Nursing, and others. Signature Majors: Kent State is well known nationally for its “Fashion School” which offers undergraduate degrees in both Fashion Design as well as Fashion Merchandising. They also have the largest Nursing program in the state of Ohio and the first Applied Conflict Management program in the country. 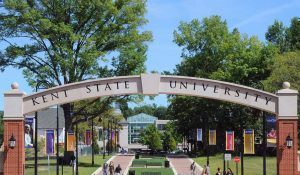 Stand Out Majors: kent State has strong programs in Aeronautics, Aerospace Engineering, Architecture, Visual Communication Design, Digital Media Production, Speech Pathology and Audiology, and Interior Design. Outside the Classroom: Kent State offers over 400 student organizations including numerous club and intramural sports, 34 Greek organizations, and 18 NCAA D-IA varsity athletic teams. Programs: A variety of Transfer and Technology (go to work) Associate Degree and Certificate programs including offerings in the following areas: Business, Engineering Technology, Health Professions, Nursing, and others. Strong Programs: Engineering (particularly well known for Materials Science), Business, and Criminal Justice. 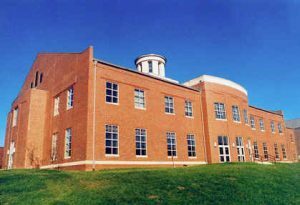 The Dana School of Music holds the “All Steinway” designation and is one of the oldest non-conservatory schools of music in the U.S.
Programs: Stark State offers a range of Transfer and Technology (go-to-work) associate degree options including programs in the following areas: Business, Engineering Technology, Automotive Technology, Nursing, Health Professions, Information Technology, and others. 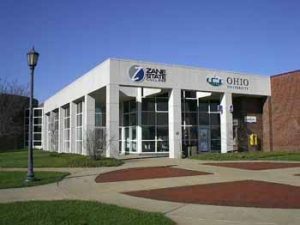 Point of Pride: Stark State College constructed a $4.7 million Fuel Cell Prototyping Center in the fall of 2006. The Center is designed for use by emerging and fuel cell-related technology companies to assist them in pre-commercialization prototyping and demonstration stages of the development of fuel cell-based power generation systems. Known For: Culinary Apprenticeship Major within Hospitality Management, Nursing (RN and LPN), Aviation Maintenance Technology plus a wide variety of respected health and medical majors. Point of Pride: “Preferred Pathway Program” provides clearly defined pathways from CSCC to nine different Ohio colleges and universities making transfer seamless. Academic Programs: Residential student program offerings include options in the following areas: Business, Psychology & Counseling, Education, Religion & Ministry, and Music & Worship Leadership. Signature Programs: A broad slate of strong undergraduate academic majors in the following areas: Engineering, Business, Agriculture, and Architecture. 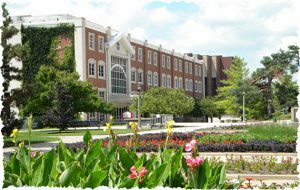 Stand Out Programs: OSU also has strong undergraduate programs in History; Education; Nursing; Forestry, Fisheries, & Wildlife; Industrial Design; Public Affairs; and Political Science. 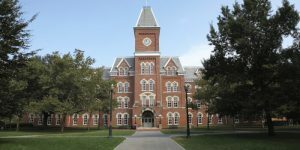 Caveat: Students entering OSU as transfer students should be aware that many majors require competitive GPA’s for admission. 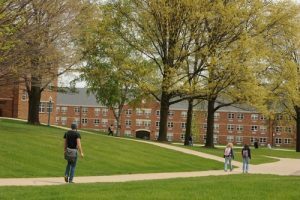 Students transferring from a satellite campus after one year are only required to have a 2.0 GPA, but majors may have much higher admission requirements. The metrics above are only for direct admit freshman students. Campus Video: Check out our video compilation of photos from our most recent visit to The Ohio State University. Known For: Students who bleed for a cause. First president, Horace Mann’s words, “Be ashamed to die until you have won some victory for humanity” drive the culture to this day. Antioch is on the quarter system. Students spend two quarters on campus and then one quarter in a co-op experience. In all, students often complete 3 co-ops during their time at Antioch. Strong Programs: 13 majors with the most popular being, Political Economy (similar to Political Science), Biomedical Sciences, Media Arts, and Environmental Science. Point of Pride: Antioch is one of the greenest and most sustainable campuses in America – just ask them! Academic Programs: A variety of programs including offerings in Business, Education, Fine & Performing Arts, Engineering Technology, and others. 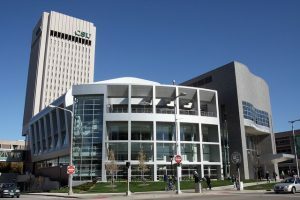 Signature Programs: UC is known for its Conservatory of Music programs as well as its program in Engineering, Architecture, and Nursing. Stand Out Majors: UC has strong undergraduate majors in Business, Interior Design, Communication Design (Graphic Design), Construction Management, Fashion Design, Digital Media Collaborative (film making). They also offer graduate programs in Pharmacy, Occupational Therapy, Physical Therapy, Law, Medicine, and others. Outside the Classroom: UC has over 400 student organizations including a wide variety of Club Sports as well as intramurals. There are 15 varsity sports and UC plays NCAA Division I in the American Athletic Conference. Their highly rated Student Recreation Center includes a wide range of workout rooms, gym space, exercise classes, climbing wall, swimming pool, and even a “lazy river.” UC has 39 active fraternities and sororities helping over 3,000 students find connections at a large university. 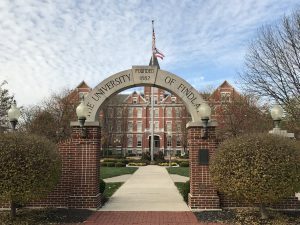 Point of Pride: The Only Conservatory of Music at an Ohio public university. Ask us about: UC’s Co-op institutional requirement – very cool! 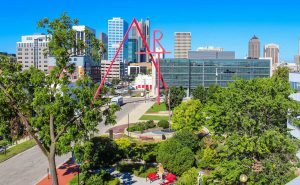 Campus Video: Check out our video compilation of photos from our most recent visit to the University of Cincinnati. 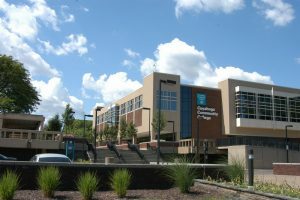 Programs: Cincinnati State offers a variety of transfer and Technical” (go-to-work) programs including offerings in the following areas: Business, Health Science, Aviation, Automotive, Criminal Justice, Engineering Technology, Information Technology, Nursing, and others. Signature Programs: Miami’s Farmer School of Business is nationally recognized and offers a variety of AACSB accredited majors including Accountancy, Economics, Finance, Information Systems, Business Management, Management and Leadership, Marketing and Supply Chain & Operations Management. Stand Out Majors: Miami has strong majors in Physics, Nutrition, Neuroscience, Medical Laboratory Science, Humanities, Music, Architecture, Interior Design, Gerontology, Political Science, Speech Pathology & Audiology, and Engineering. New Major: Miami’s main campus in Oxfords is now offering a new Nursing major. Outside the Classroom: Miami offers over 500 student clubs and organizations including a large set of fraternities and sororities (35% of students involved). They also offer NCAA Division I varsity teams, over 50 club sports, and another 30 intramural sport offerings. Ask about: Just how important Hockey is on campus. Academic Programs: Transfer programs as well as a wide variety of “Technology” (go-go-work) programs. These include a wide variety of programs in the areas of aviation, automotive, geopacial technology, business, health sciences, engineering technology, criminal justice, hospitality, and others. 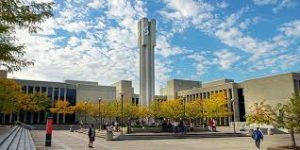 Signature Programs: BGSU is known for its strong programs in Education; Digital Arts; Forensic Science; Popular Culture; Accounting; Sport Management; and Apparel Merchandising & Product Development. Stand Out Programs: BGSU also offers strong programs Aviation; Architecture & Environmental Design; Marine Biology; Business; Dietetics; Communication Sciences & Disorders; and Music. Outside the Classroom: BGSU offers 325 student clubs and organizations, 56 intramural sports and 26 club sports. 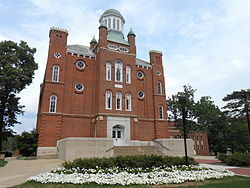 They also offer 18 NCAA Division IA varsity teams and over 40 fraternities and sororities. Over 6,000 students live on campus. 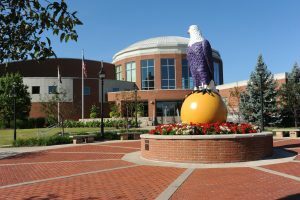 Point of Pride: BGSU is one of only two universities in the US that has an airport located on campus. The airport supports the Aviation major. BGSU also is the only public university in Ohio to offer a structured academic support program for students with learning challenges such as ADD or ADHD – Check out the “FLY” program. Academic Programs: A variety of programs are offered including programs in Business, Automotive Technician, Diesel Technician, Alternate Fuels Technician, Legal Assisting, Travel and Hotel Management, Agribusiness, and others. Known For: Outdoor and natural resource 2-year programs including Wildlife Resources Management, Forest Management, Fish Management & Aquaculture Sciences, and Natural & Historical Interpretation. Signature Programs: The Scripps College of Communication and its numerous programs are nationally recognized for excellence (e.g. Journalism, Visual Communication, and others). The Schey Sales Center offers a nationally recognized certificate in sales. Academic Programs: Strong undergraduate programs in Engineering, Business, and Health Sciences. Nationally recognized Game Design program. Graduate program in Occupational Therapy. Academic Programs: Wide variety of Transfer and Technology (go-to-work) program offerings. These include offerings in Nursing, Criminal Justice, Business, Engineering Technology, Cyber Security, and Radiologic Technology. Signature Programs: A Catholic, Jesuit institution with signature majors in Business, Education, and Nursing. They are particularly strong in Accounting. Stand-out Programs: Xavier has strong Pre-Healthcare Professions as well as strong programs in Healthcare Administration; Philosophy, Politics, & Public; Digital Innovation, Film, & Television; and Psychology. Outside the Classroom: While Xavier doesn’t play football, their NCAA Division I men’s basketball team is well respected and often nationally ranked. They offer over 160 student clubs and organizations and provide an ongoing stream of campus programs and activities. They do not offer social fraternities or sororities. 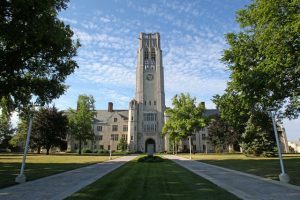 Signature Programs: The College of Wooster is best known for its emphasis on mentored undergraduate research. The Independent Study (IS) program, in which all students work one-on-one with a faculty advisor to complete a 50-100 page written thesis (or other project) during their senior year. The project, which began in 1947, is presented and orally defended. Students are prepared for the IS with academic experiences in each of their first three years. 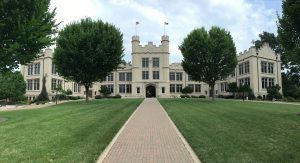 Stand Out Programs: The College of Wooster boasts strong programs in the sciences. Majors in Biology, Chemistry, Biochemistry, and Molecular Biology are particularly well regarded. They also have a strong slate of Global Studies majors and a strong Political Science major. Outside the Classroom: While Wooster is not a “party school,” students typically stay on campus on weekends and are creative in finding things to do. There are a wide variety of student organizations (120) and the WAC (Wooster Activities Crew) schedules a wide variety of weekend events including speakers, performers, comedians, musicians, etc. The Campus Underground offers a pub, DJ/Bands, dancing, and movie nights. There is a Greek system (15% of students are active in a set of all local chapters housed on campus) and plenty of intramural sports (70% play at least one sport). Wooster has 19 varsity athletic teams (30% of students) and competes in NCAA Division III. Also, 30% of students play a musical instrument. Point of Pride: CW is a member of the “Five Colleges of Ohio,” a consortium of renowned Ohio liberal arts colleges. Ask us about: Why is a Tootsie Roll is a big deal at Wooster? 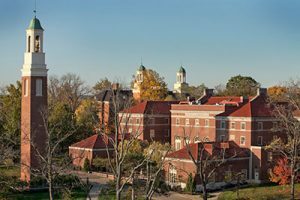 Academic Programs: Wittenberg offers over 70 major options. 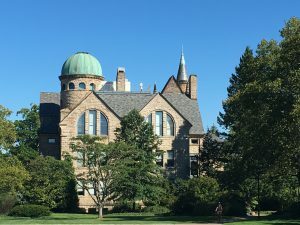 First and foremost, their strong commitment to the liberal arts (arts, sciences, humanities, and social sciences) is evidenced in their strongest programs. Solid majors in the performing arts, languages, and pre-health sciences including their large Biology major and a popular minor in Marine Science. 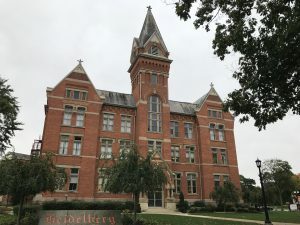 Outside the Classroom: At Wittenberg almost 40% of students are active in their Greek system and another 40% play a varsity sport (NCAA Division III). They also offer over 120 student clubs and organizations as well as ongoing campus programming and entertainment. 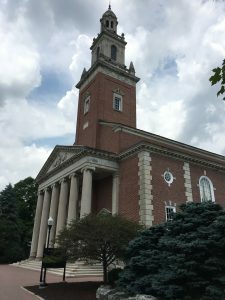 Students are required to complete 30 documented hours of community service prior to graduation and nearly 30% study abroad while at Wittenberg. Point of pride: Strong language program with many options. Absolutely beautiful campus! Known For: One of only 2 Agriculture majors in the state of Ohio! Also a strong Athletic Training major. Signature Programs: Strong undergraduate programs in Nursing, Education, Psychology, and other health science majors as well as graduate programs in Occupational Therapy, Counseling, Physical Therapy, and Nursing. Graduate programs offer undergraduates early admission/assurance options and slight level of admission preference. 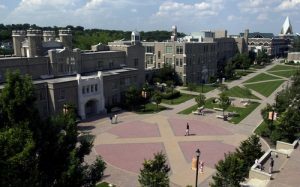 Other Standout Programs: Walsh has strong programs in Exercise Science, Biology, and Entrepreneurship (Minor). Outside the Classroom: Walsh offers over 50 student clubs and organizations, plenty of intramurals, and 16 NCAA Division II varsity sports. 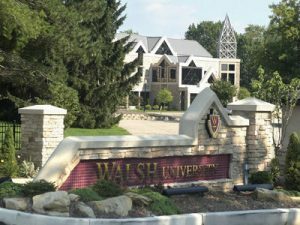 Walsh does not offer any social fraternities or sororities. Many students are involved in the varied outreach and social initiatives grounded in Walsh’s mission. Point of Pride: Walsh has satellite campuses in Rome, Uganda, and Tanzania. Over 40% of Walsh students study abroad. 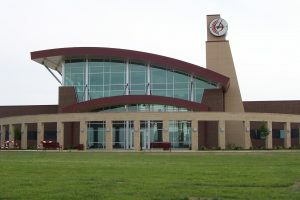 Point of pride: Rio Grande University (Private) shares a campus with the Rio Grande Community College (Public). In this unique public/private partnership, students enjoy a number of benefits, including low overall tuition and a wide variety of 2-year and 4-year major options in professions and trades. 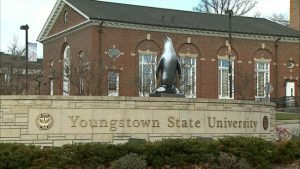 Unique Majors: The relatively new Zoo and Conservation Sciences major which is supported by internship opportunities with the Columbus Zoo & Aquarium, The Wilds, and the Ohio Wildlife Center. Other Stand Out Programs: Nursing and Sport Majors including Exercise Science & Health Promotion, Athletic Training, and Sport Management. Education and Accounting majors are also strong. Point of Pride: Recently opened STEAM Center (Science, Technology, Engineering, Arts, and Math). Housed in the STEAM Center, a new Systems Engineering major launched a few years ago and a Mechanical Engineering major is on the way in fall, 2017. 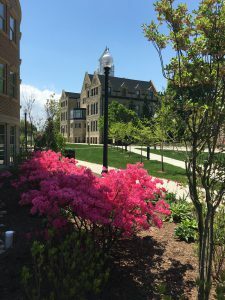 Outside the Classroom: Otterbein has over 100 student organizations including an active Greek system (20 % of students participating), NCAA Division III varsity athletics, and a first-class workout facility (Clemons Recreational Center). Signature Programs: Nationally recognized Conservatory of Music as well as strong majors in English and Environmental Studies. Outside the Classroom: While Oberlin does not offer social fraternities and sororities, there are 175 active student organizations. Intramural sports and club sports are also active. Oberlin participates in the NCAA’s Division III. As a result of the Conservatory of Music, there are over 500 free musical programs on campus each year. 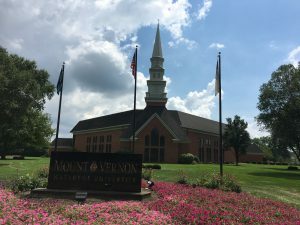 Outside the Classroom: Mount Vernon Nazarene University (MVNU) is a private, co-educational, residential, liberal arts university with an evangelical Christian foundation and mission. 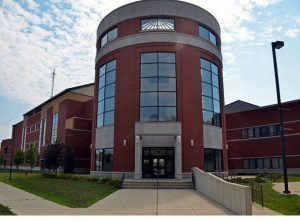 The Student Government Association (SGA) is active and plans a variety of programs including band performances, Block Party, dance performances (in The Grove), movie nights, and the famous, “Friday Night Live” that fills the performance hall. There are also over 50 student organizations, but no social fraternities or sororities. State-of-the-art Ariel Arena offers 68,000 square feet of gym, courts, fitness, and weight facilities for student use. Ask us about: Newly renovated downtown (Mt. Vernon) state-of-the-art buildings for Nursing as well as Art and Graphic Design. Known for: Health Sciences programs including Nursing, Biomedical Sciences, and Athletic Training. These are synergistic with their graduate programs in Physician Assistant Studies, Physical Therapy, and Nursing. Point of Pride: EXCEL Program provides unique support services to students with learning challenges. 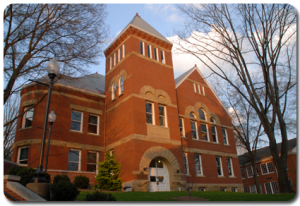 Best known for: Kenyon College is the oldest private college in Ohio (1824) and is a member of the “Five Colleges of Ohio,” a proud consortium of renowned Ohio liberal arts colleges. Kenyon boasts a strong English major supported by 20 faculty as well as their recognized lineup of other Liberal Arts majors. Other Stand Out Programs: Strong Theatre and Economics programs. Outside the Classroom: Kenyon offers over 150 student clubs and organizations including twelve Greek organizations. They also offer a variety of Club and Varsity (NCAA Division III) sports and a state-of-the-art fitness/athletic facility. Other Stand Out Majors: Franciscan also has strong majors in Business (with a focus on ethics), Biology, and a 4+1 MBA Program. Outside the Classroom: Franciscan offers over 70 student clubs and organizations. Some are focused around evangelization, while others focus on academics, athletics, or other student interests. The culture at Franciscan can best be described as “Passionately Catholic.” Over 70% of students participate in “Faith Households” and a similar number attend mass at least twice weekly. 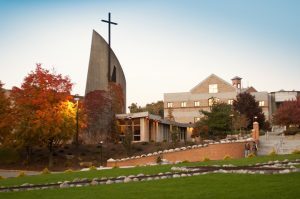 Point of Pride: Franciscan estimates that over 50% of the world’s most renowned religious education speakers have visited the college. Franciscan also has the largest Priestly Discernment Program in the U.S. (around 40 at last count). Stand Out Programs: Philosophy, Politics, and Economics is a unique interdisciplinary major integrating Political Science, Economics and Philosophy. Global Commerce is similar to “International Business” but without business discipline courses. It integrates Economics, Communication, and Foreign Language. The Economics Major with the Financial Economics Concentration focuses on the role of the finance, insurance, and real estate sectors in the US economy. 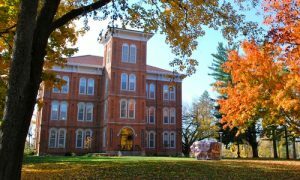 Denison offers a number of foreign language majors including Arabic, Chinese, Japanese, and Portugese. Outside the Classroom: Dennison offers a strong Greek system with 10 fraternities and 8 sororities. They offer a wide variety of varsity sports (NCAA Division III), club sports, and intramurals. Additionally, there are over 180 clubs and organizations available on campus. 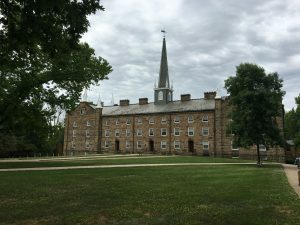 Point of Pride: Denison University is one of Ohio’s “Five Colleges of Ohio,” a consortium of renowned Ohio liberal arts colleges that also includes Kenyon College, Oberlin College & Conservatory, The College of Wooster, and Ohio Wesleyan University. Over 50% of Denison’s students study abroad. 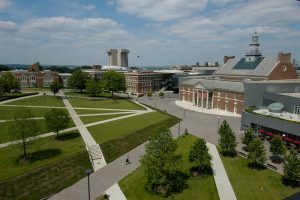 Signature Academic Programs: Engineering, Business, Education, and Health Sciences majors are all exceptional at UD. Campus Life: UD offers over 300 student organizations including an active student government, Campus Activities Board, Campus Ministry an many more social, academic, service, and special interest clubs and organizations. Approximately 20% of students are involved in the Greek system and there are 12 social and 8 professional or service chapters. 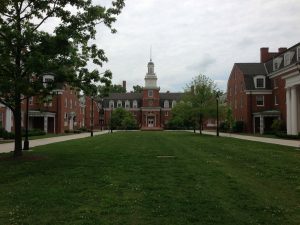 UD is a residential campus with around 90% of students living on campus. 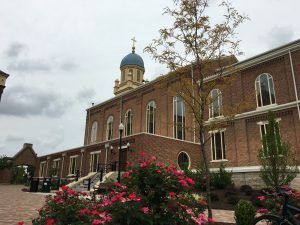 Check out a photo compilation from our last visit to University of Dayton! Signature Programs: Fashion Design, Illustration, and Animation are considered CCAD’s signature programs. Stand Out Majors: CCAD has strong programs in Industrial Design; Advertising and Graphic Design; Photography; Cinematic Arts; and Interior Design. Outside the Classroom: CCAD students are passionate about art. 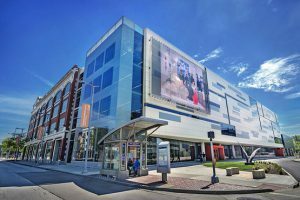 Located adjacent to the Columbus Museum of Art and near the trendy Short North artsy district of Columbus, CCAD students find it easy to visit galleries, tour the museum and explore the eclectic city of Columbus. Many students participate in “Collectives” connected to their majors. 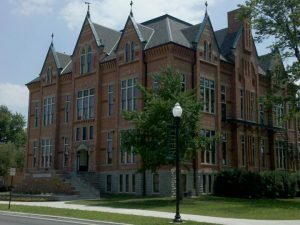 While CCAD has no varsity athletics or Greek life, they do offer a variety of student clubs and organizations as well as an ongoing stream of campus programming. Signature Programs: CIA’s signature programs include Biomedical Art and Industrial Design. Stand Out Programs: CIA has strong programs in Animation, Illustration, Graphic Design, Game Design, Interior Architecture, Jewelry & Metals, Photography & Video, and Painting. 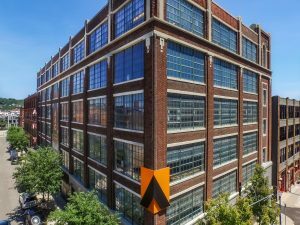 Outside the Classroom: CIA is one of forty independent colleges of art and design in the United States and Canada and one of only three in Ohio. 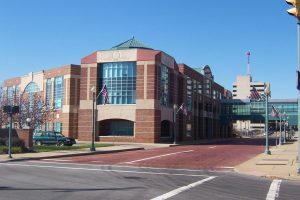 CIA is located in the University Circle, Cleveland’s cultural center. 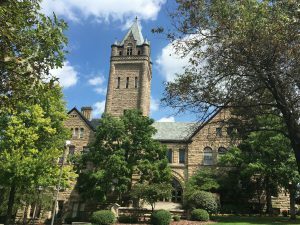 Among other things they are known for: One of Ohio’s “Big 5 Liberal Arts Colleges.” Particularly strong and diverse programs in the sciences including programs in Zoology, Geology, Astrophysics, and Botany. Also strong majors in Fine Arts (including Graphic Design), Music, and Languages (French, Spanish, and German) as well as International Studies. Outside the Classroom: Over 100 student organizations including an active Greek system (40% of students), 23 NCAA Division III varsity athletic sports (33% of students), and active intramurals. Study Abroad is emphasized. Four-year live on campus requirement ensures that there is plenty happening on campus. Point of Pride: Over 60 “Theory to Practice” grants to students each year totaling $250,000 in benefits. These allow students to pursue external enrichment opportunities. 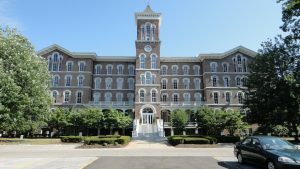 Ask us about: Is this really the most haunted campus in Ohio? Campus Video: Check out a photo compilation from our last visit to OWU! Known For: One of the best Division III football programs in the country. That’s not all. Check out the Stand Out programs below! Stand-Out Programs: Strong programs in Nursing (launched in 2012 with stunning facilities in Gallaher Hall), Engineering (relatively new majors in Mechanical and Civil Engineering supported by new labs and strong “four pillars” conceptual model), and Sport-related majors including Sport Business, Exercise Science, Health & Physical Education, and Athletic Training. UMU undergraduate students enjoy early assurance and preferential entry to graduate programs in Physical Therapy (DPT) and Physician Assistant Studies (PA). 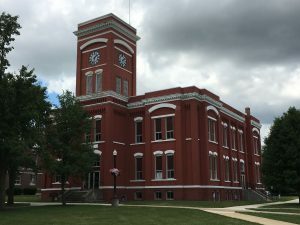 UMU is growing their programs in the Performing Arts (Theatre, Music, Music Education and Music Performance) supported by new Geise Center for the Performing Arts. 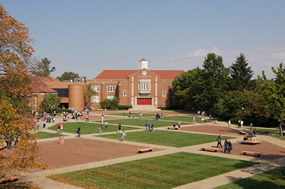 Outside the Classroom: UMU is a residential campus offering over 80 student organizations including Greek life (25% of students involved), NCAA Division III varsity athletics, as well as an ongoing stream of cultural and social events The football program is one of the best D-III programs in the country with 11 national championships. Known For: Strong programs in Education and Nursing. Point of Pride: The renowned PLUS Program that provides support for students with learning challenges including light autism, ADD, and ADHD. Unusual Majors: Graduates of ONU’s unique Engineering Education program are certified to teach Math (secondary) and, given the expansion of high school STEM classes, are in great demand. Stand Out Majors: ONU also boasts a strong program in Nursing with over 95% NCLEX pass rates. They also have a variety of majors with high health care graduate school entrance rates including Biology, Exercise Science, Chemistry and Biochemistry. Political Science and Philosophy, Politics, & Economics are both excellent Pre-Law choices and students can opt for the 3+3 undergraduate and JD degree combination. Additional strong programs include Theatre, Public Relations, and Construction Management. 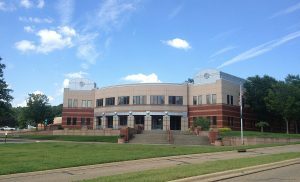 Outside the Classroom: ONU is a residential campus offering over 200 active student organizations including Greek life (17% of students involved), NCAA Division III varsity athletics, and a top notch workout/athletic facility (ONU Sports Center). 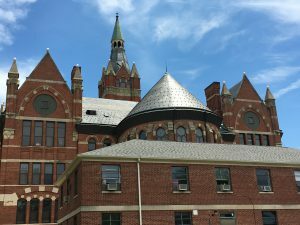 Signature Programs: JCU’s Accounting program boasts the highest CPA pass rates in the state of Ohio and is their 7th largest undergraduate program. 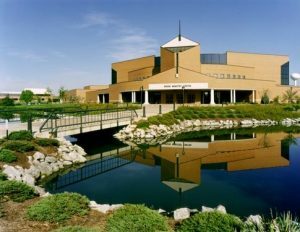 Housed in the Tim Russert Department of Communication and Theatre Arts, the Communication program at ONU is considered to be excellent as well. Stand Out Programs: Students interested in Biology can choose from majors in Biology, Cell and Molecular Biology, and Environmental Science to prepare for graduate and professional school or a wide range of careers. 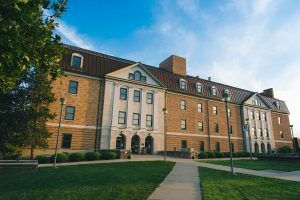 Psychology is the most popular major at JCU and the faculty are known around campus as excellent. 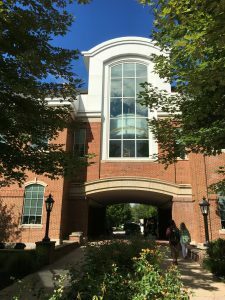 The program is particularly well suited for students who plan to work in the clinical mental health field. 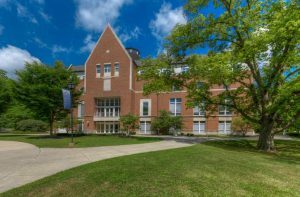 Outside the Classroom: JCU has over 100 active student organizations including faith and service groups, academic groups, interest groups, performing arts groups, and an active Greek system with members living on their Chapter’s residence hall floor for one year. 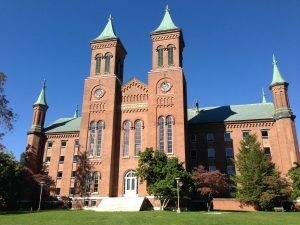 Consistent with their Jesuit and Catholic tradition, over 80% of students participate in service while attending JCU through the Center for Service and Social Action. Point of Pride: The Boler School of Business and the Tim Russet Department of Communication and Theatre Arts. Also, JCU has the only “Health Professions Advisory Committee” that we know of in Ohio. The committee is composed of faculty and professionals who coach students on how to maximize their acceptance rate to various health career graduate schools. Ask us about it. Point of Pride: Junior Year Program at Heidelberg University in Heidelberg, Germany – the oldest exchange program between an American and German college. Point of Pride: The 500 acre James H. Barrow Field Station has multiple ongoing research partnerships with zoos and wildlife organizations. Students participate and, as a result, enjoy strong Vet School acceptance rates. Ask us about: Hiram’s unique 12-week plus 3-week semester design as well as Vet School acceptance rates. 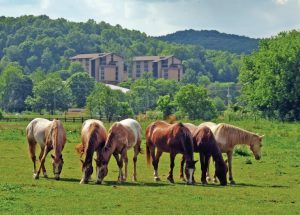 Signature Programs: Signature programs in Equestrian Studies (Western & English riding styles), Animal Science (high vet school acceptance rates), Health Sciences, Diagnostic Sciences (various), Environmental Safety & Occupational Health Management, and Children’s Book Illustration. Campus Life: UF has over 1,250 full-time students living on campus as well as over 100 student organizations including three social greek organizations, and 24 NCAA D-II varsity sports. Point of Pride: Early admission or assurance linkages to their graduate programs in Physician Assistant Studies, Physical Therapy, Pharmacy, and Occupational Therapy. Signature Programs: The only Petroleum Engineering major in Ohio as well as other energy industry majors and minors including Land and Energy Management (Major), Energy Systems Studies (Minor), and Energy Systems Engineering (Minor). Stand Out Majors: Marietta boasts strong programs in Athletic Training, Education, as well as offering an MA in Physician Assistant Studies with early assurance options for their undergraduate students. 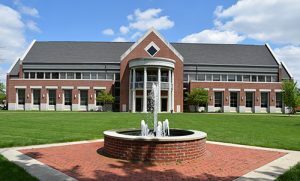 Point of Pride: The Leadership Studies Minor from the McDonough Center for Leadership and Business is nationally recognized and is available to all students regardless of major. The minor has both classroom and leadership development components. Known For: Adherence to the Christian tradition and the belief that the Bible is the inspired, inerrant word of God. 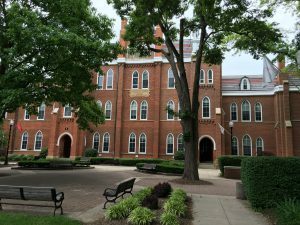 CU is perhaps the most conservative of Ohio’s passionately Christian colleges. Outside the Classroom: At Cedarville, activities outside the classroom embody Christian Principles, with many students involved in mission, service, and outreach work. In addition to faith-based activities, there are 25 intramural sports and 87 student clubs and organizations. Cedarville also offers 16 NCAA Division II varsity sports teams. Signature Programs: Case is well known for their strong Engineering, Nursing, and Business Programs (graduate and undergraduate). Other Stand Out Majors: Case is also strong in the Sciences and Math. 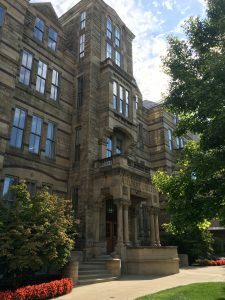 There are a wide variety of majors available such as Applied Mathematics, Biology, Chemistry, Biochemistry, Astronomy, Environmental Studies, Geological Sciences, History & Philosophy of Science, Nutrition, Physics, and the new and unique Origin’s Sciences. Many students extend their studies beyond the lab and become involved in an extensive menu of research options. Outside the Classroom: Case offers over 200 student clubs and organizations including Club sport teams, academic organizations, special interest clubs, Greek organizations, and others. There are also a wide variety of ongoing weekend events including speakers, performers, comedians, and musicians. Point of Pride: First year freshmen are grouped into one of four residential colleges: Mistletoe, Juniper, Magnolia, and Cedar. Each has a unique focus or theme – think Hogwarts. Campus Video: Check out a photo compilation for our last visit to Ohio Dominican University! Known For: The programs of its Conservatory of Music including Jazz Studies, Music Technology, Music Industry, Composition, and a variety of Performance options. CU is also know for its Law School (3+3 undergraduate to JD option), and strong Nursing program. Other Stand Out Programs: CU offers a variety of Marketing/Communication programs that are, at times, synergistic with their Conservatory of Music and further supported by the new Emerging Media Center. Options include majors in Emerging Media (New), Electronic Media and Film, Public Relations, and Professional Writing/Journalism. There are also Minors in Digital Design and Entertainment Technology. Additionally, their programs in Business, Education (ACBSP accredited), and Social Work are well regarded. 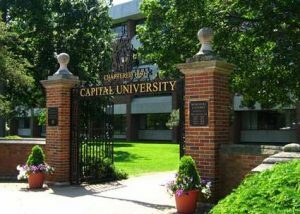 Outside the Classroom: CU is a residential campus offering over 90 active student organizations including 13 fraternities and sororities, NCAA Division III varsity athletics, a wide variety of club and intramural sports, and a first class workout facility. Ask us About: The 3+3 Bachelor’s to Juris Doctor (law school) program and the new Emerging Media major! Unusual Majors: Arts Management & Entrepreneurship, Innovation & Entrepreneurship, Sustainability, Health Care Management, and National Security. Outside the Classroom: Students are actively engaged in over 100 campus clubs and organizations including 14 fraternities and sororities and another 23 NCAA Division III varsity sport teams. Point of Pride: The Conservatory boasts an “All Steinway” designation. Known For: Strong programs in the Fine Arts.